HomeKleva Swifty Sweep The Spin Broom And Dustpan In 1! Kleva Swifty Sweep The Spin Broom And Dustpan In 1! This Kleva Swifty Sweep deal gives you a superfast broom and dustpan in one amazing, cordless, portable device! Suitable for hard floors only. 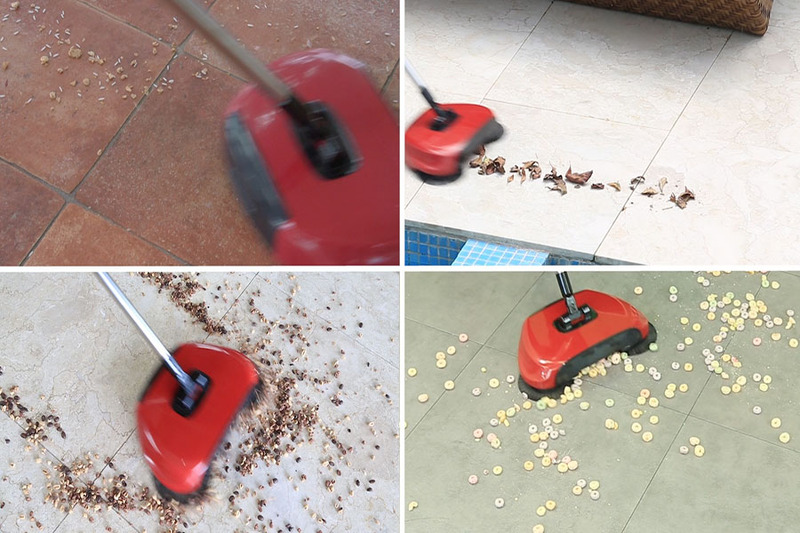 A superfast broom and a dustpan in one amazing, cordless, portable device! 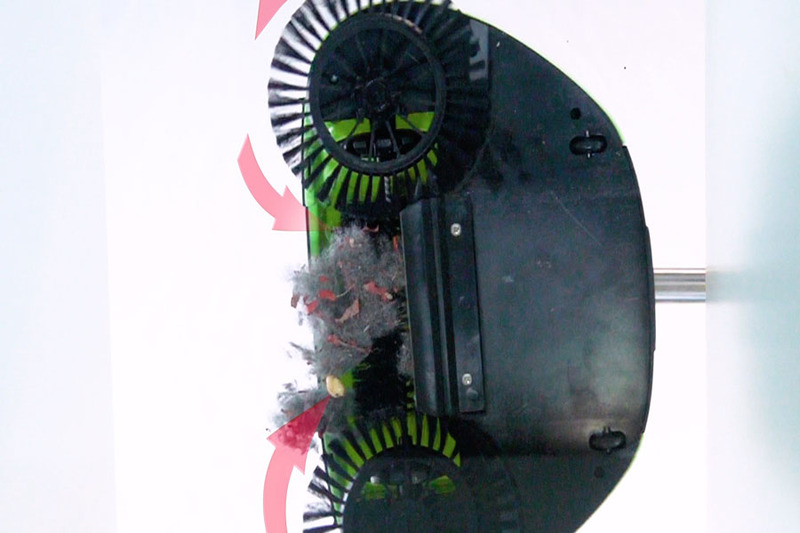 Sick of breaking your back getting out your heavy, bulky vacuum cleaner? 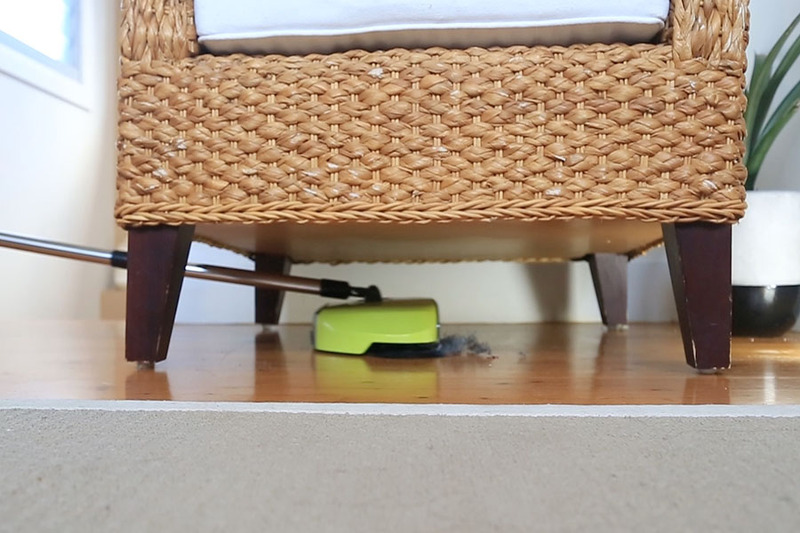 Are you constantly tripping over vacuum cords just to clean up a small mess? 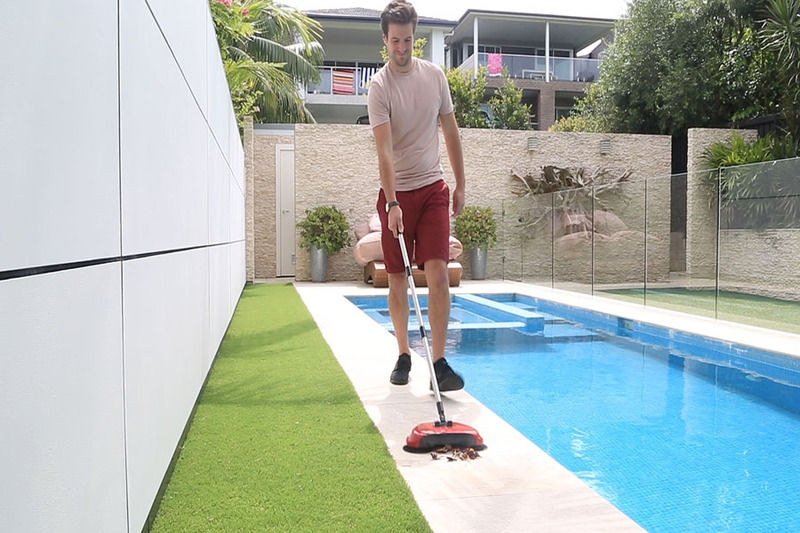 The Swifty Sweep can help you there! 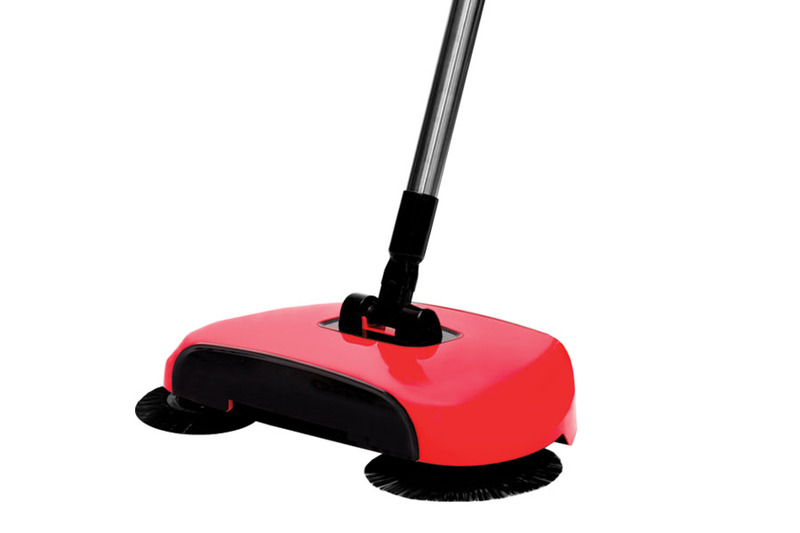 Weighing in at less than a kilogram the Swifty Sweep is light and compact to make your life easier! And because it’s cordless, you never have to worry about searching for a powerpoint to plug it in. 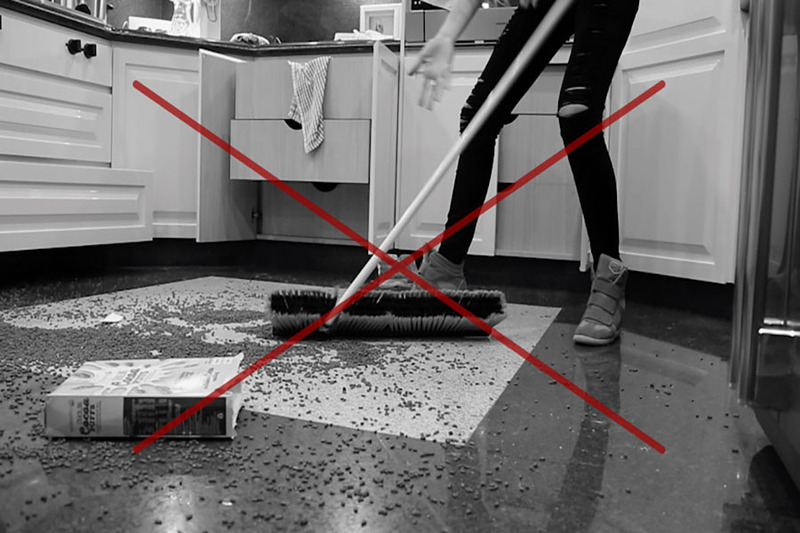 Tired of getting down on the floor to clean up mess with your dust pan and brush? 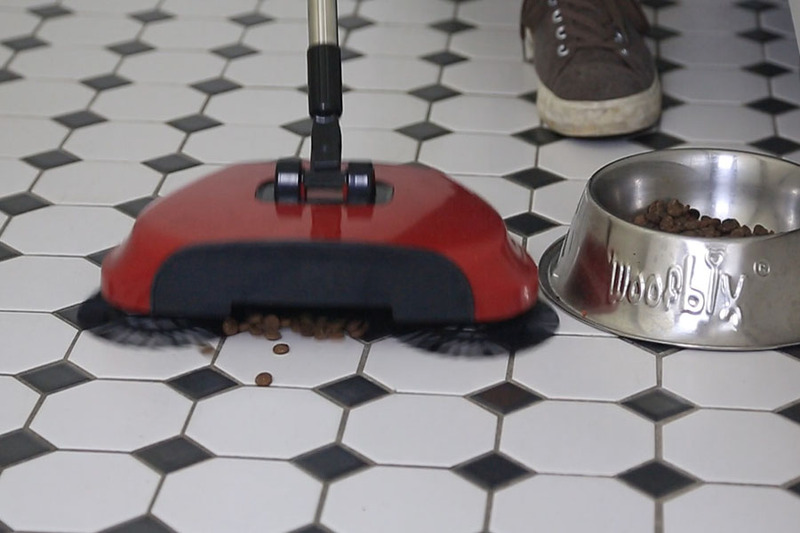 The Swifty Sweep picks up pet food, cereal and much more with ease! And with it’s long handle you can quickly clean the mess standing upright. Too easy! If you’re seriously over making a mess of your clothes after cleaning, then make it easier on yourself! 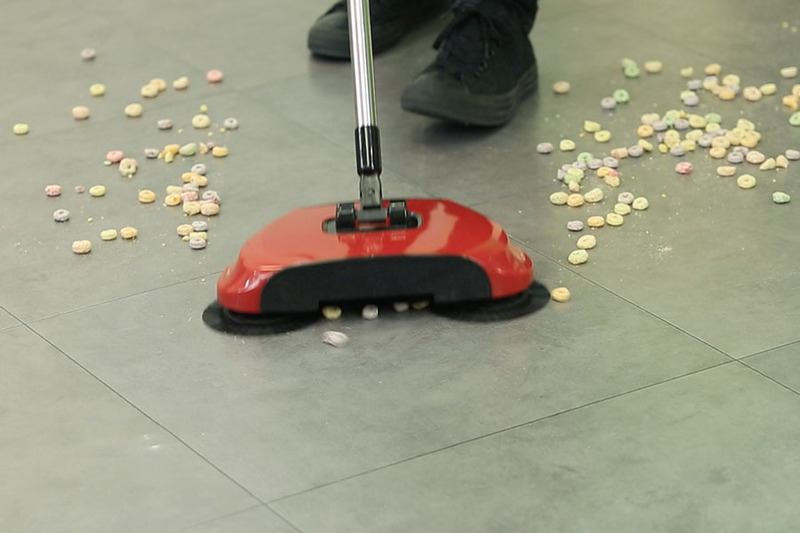 The Swifty Sweep is so easier to empty. Simply open the flap, and pour into the bin! No more mess, and no more dirty cleaning clothes! 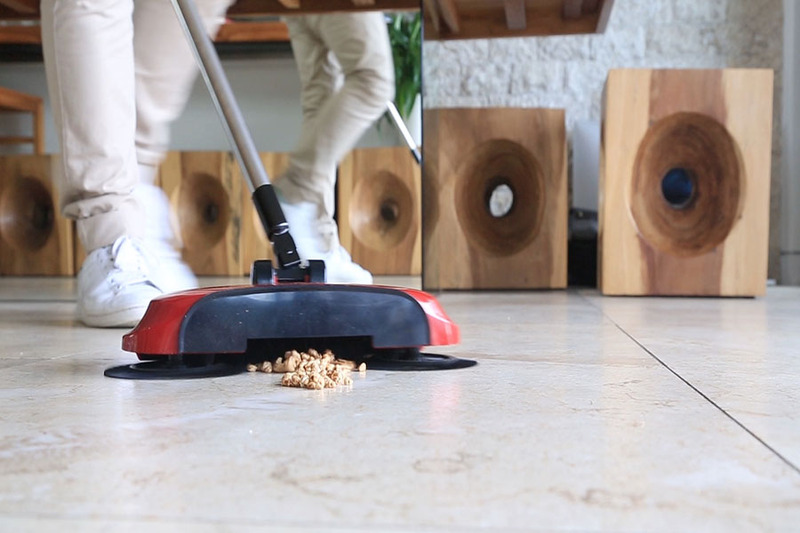 Unlike big and bulky vaccum cleaners, the Swifty Sweep weights less than 1kg and is free of cords! 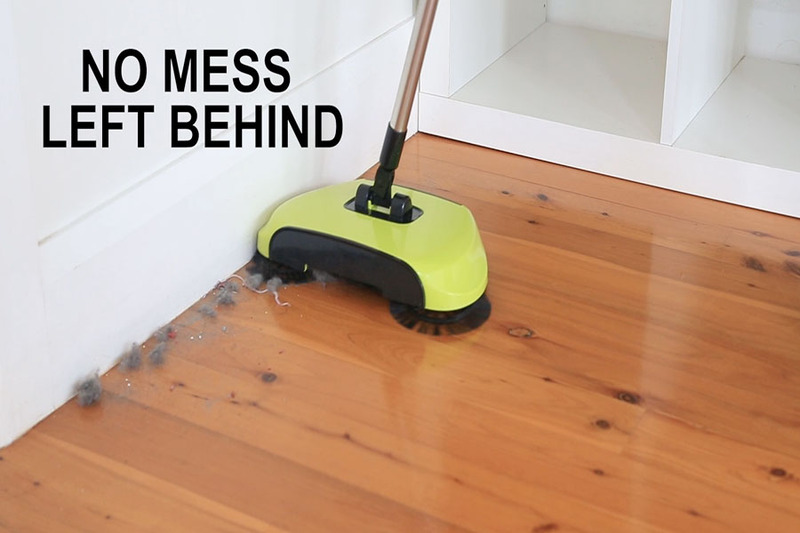 The Swifty Sweep easily bends right under small spaces, so there’s no need to bend over and strain your back. 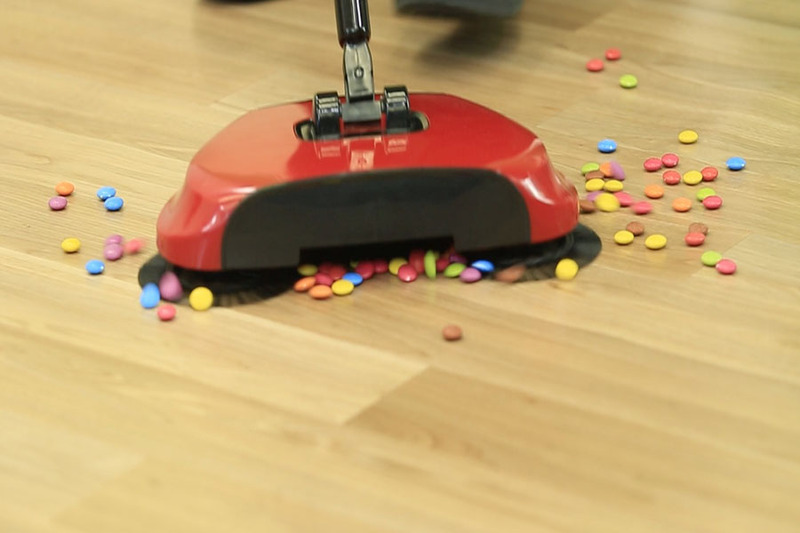 It’s super compact and easy to clean. Simply open the flap and empty into the bin. Finished! 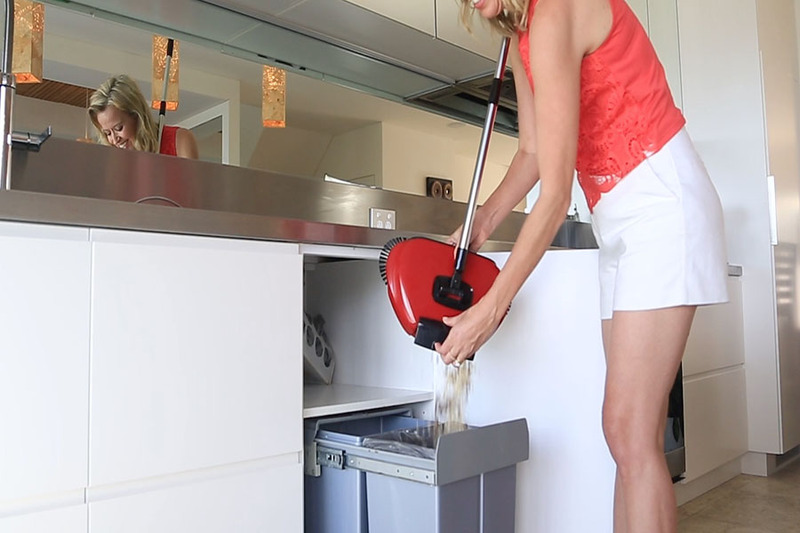 The Swifty Sweep’s height is adjustable, you can remove or add height to suit you! It actually does what is advertised, as we got 4 my husband uses one out in the shed for the concrete floor as well and he loves it. It’s just quick and easy. You have to get some momentum so the brushes pickup the dirt but im so glad I got them. Makes our cleaning easier. Kleva Swifty Sweep Broom and Dustpan in One! Buy 1 GET 3 FREE! It is very handy and better for your back than bending down, and it picks up more than a dustpan and brush. Im giving one to my mum who has a bad back. I think its a great little gadget.